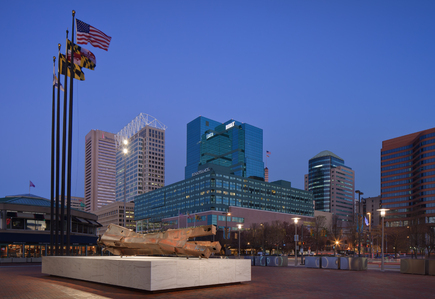 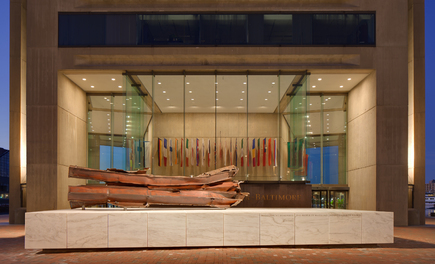 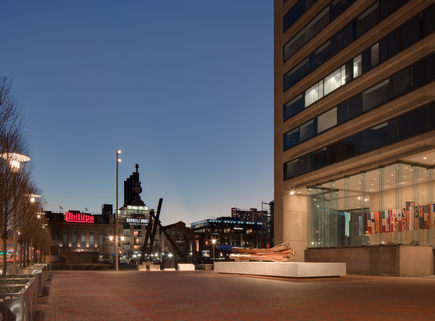 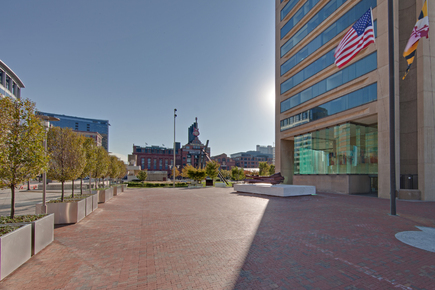 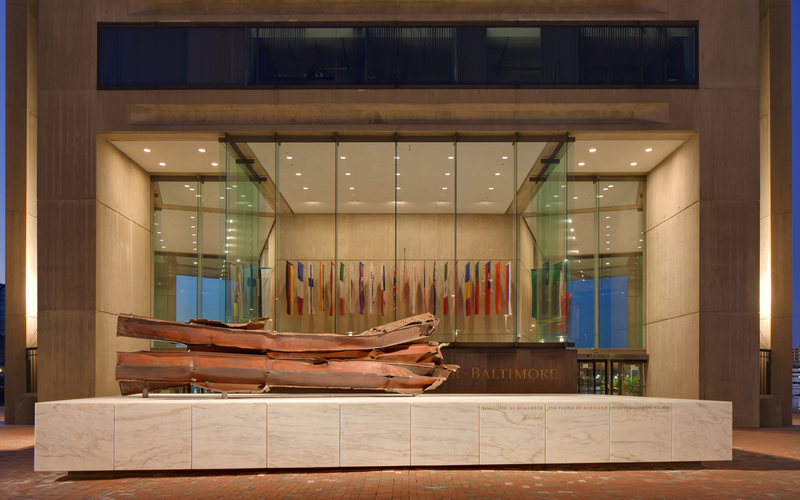 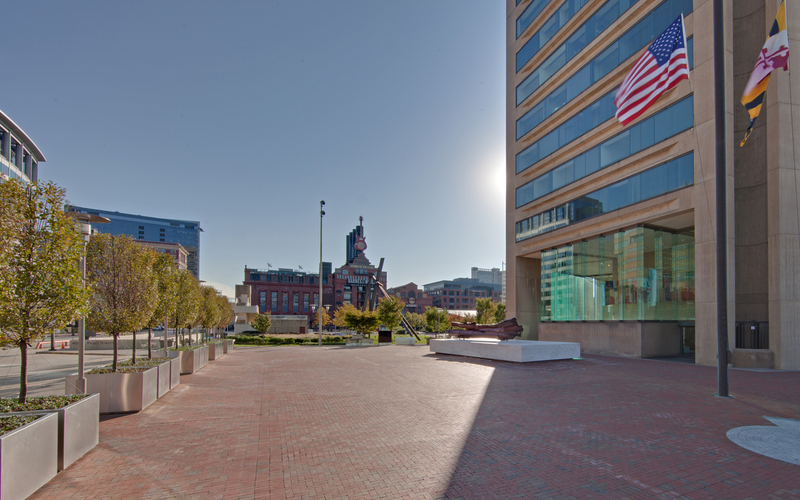 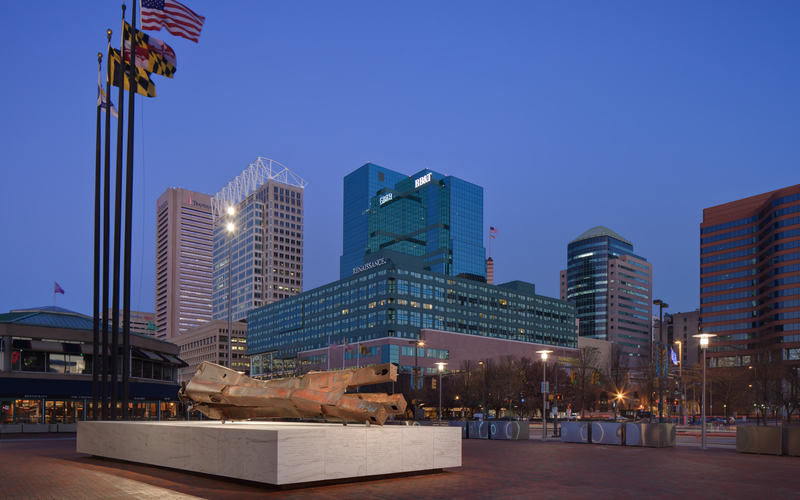 Maryland's 9/11 Memorial is located adjacent to Baltimore's World Trade Center along the Inner Harbor. 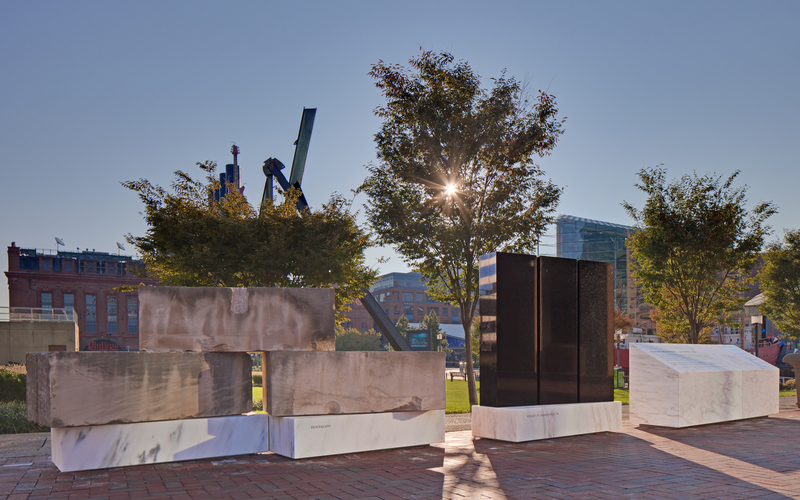 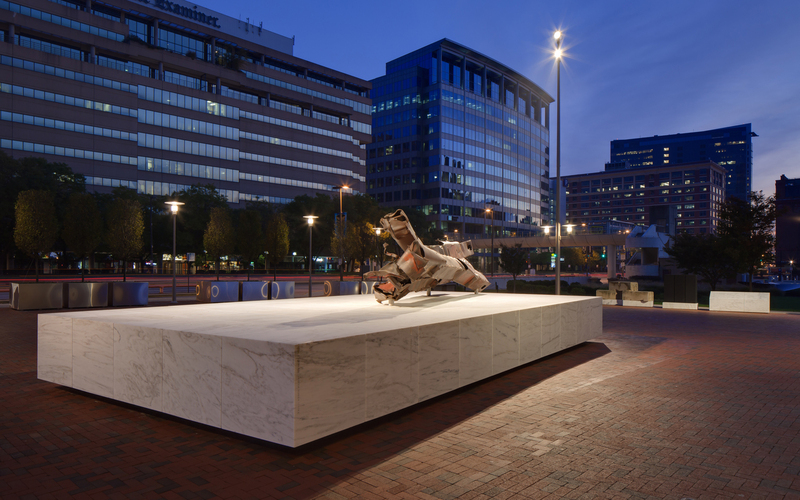 The project creates a memorial plaza focused on an original artifact from the Twin Towers and is designed to honor the extraordinary heroism, commitment, and sacrifice of Maryland's 9/11 victims, rescuers and their families. 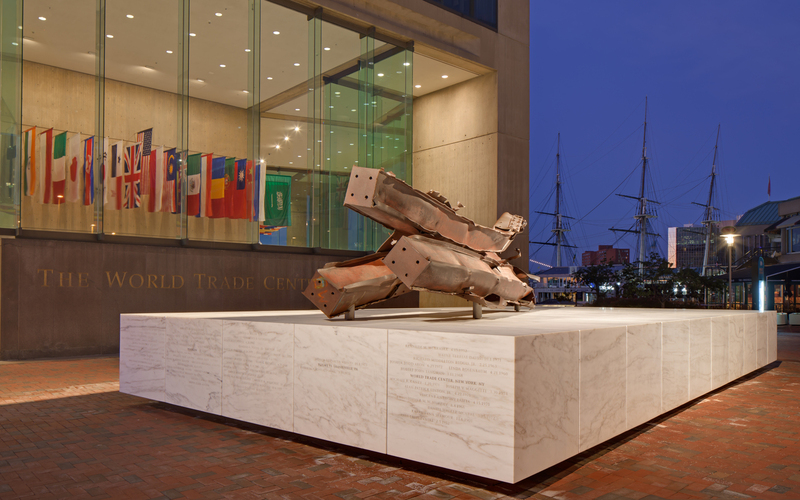 The artifact, a group of three amalgamated steel beams and associated smaller steel shard, is a physical reminder of the events on September 11th. 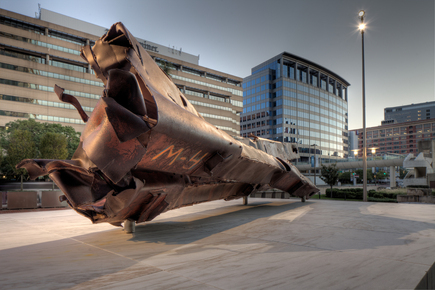 Also represented in the memorial are artifacts from the Pentagon strike as well as a rembrance to the Shanksville, PA Flight 93 strike. 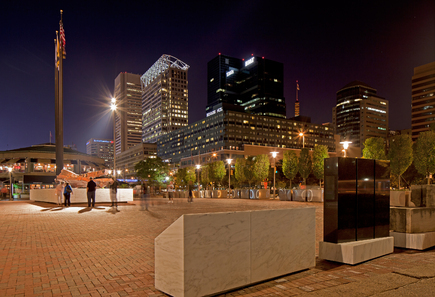 The memorial provides a place for contemplation, reflection and remembrance. 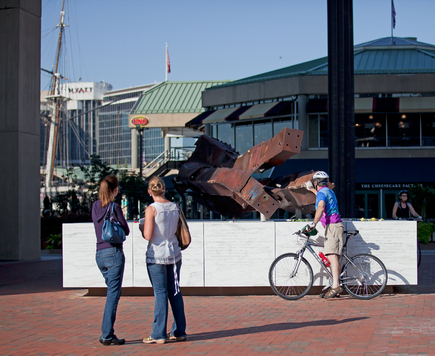 All memorials are about time. 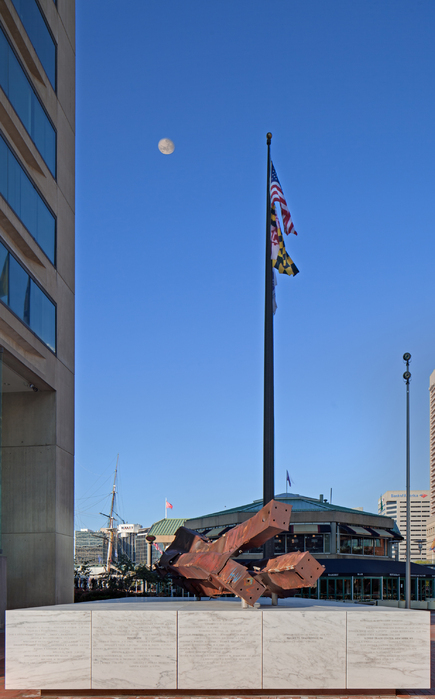 This is especially true of the 9/11 Memorial of Maryland, honoring those from our State who perished in the tragic events of September 11, 2001. 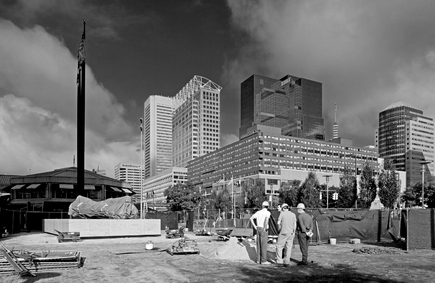 9/11 is no longer just another date on the calendar. 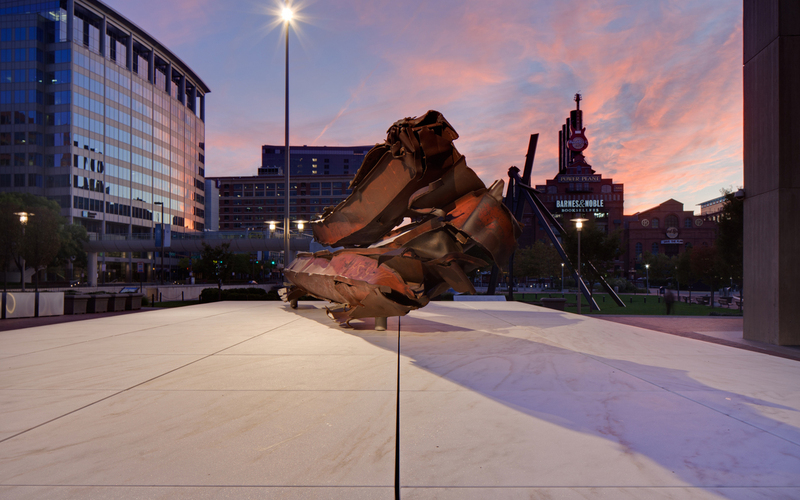 It is a date that marks a turning point, a day that separates two eras—a time that has changed us forever. 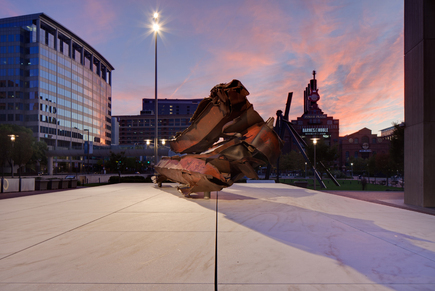 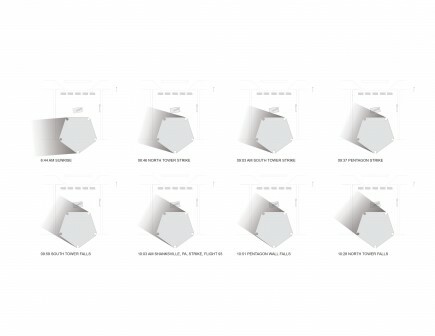 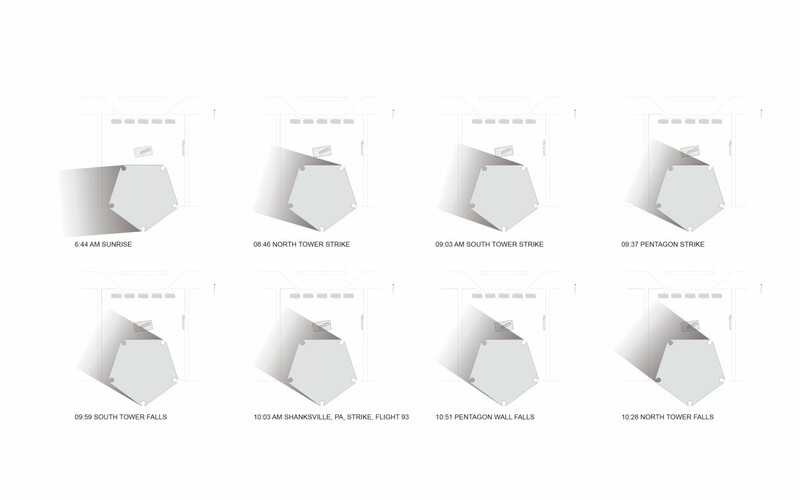 And so time, loss, change and resilience inform the design of this memorial. 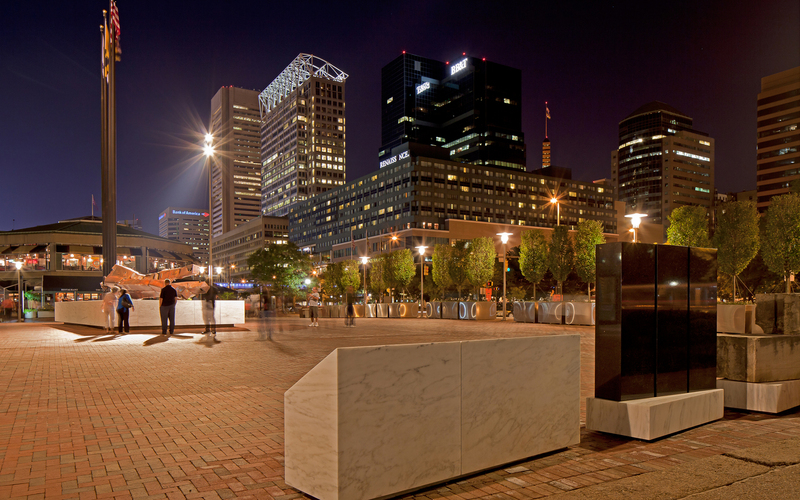 The immense white marble stones that comprise the base recall geologic time. 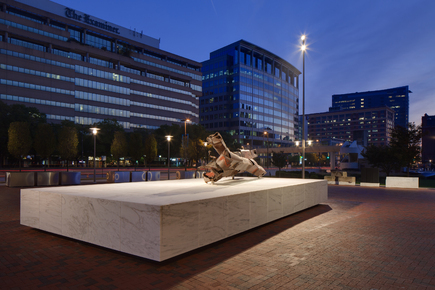 Marble has been used for millennia to create durable monuments, evoking historical time. 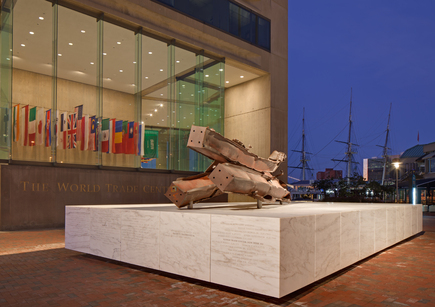 The individual stones work together to support the twisted steel relic from the North Tower of the World Trade Center. 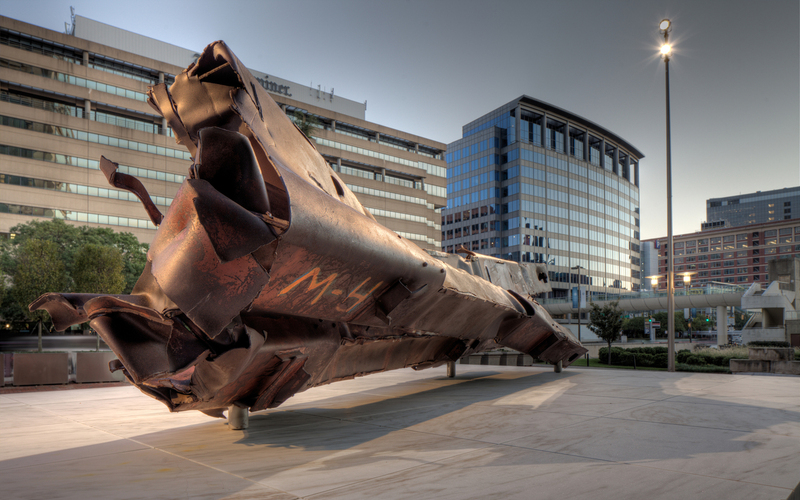 This artifact's deformation dramatically illustrates the terrible force and power of the destruction on that day. 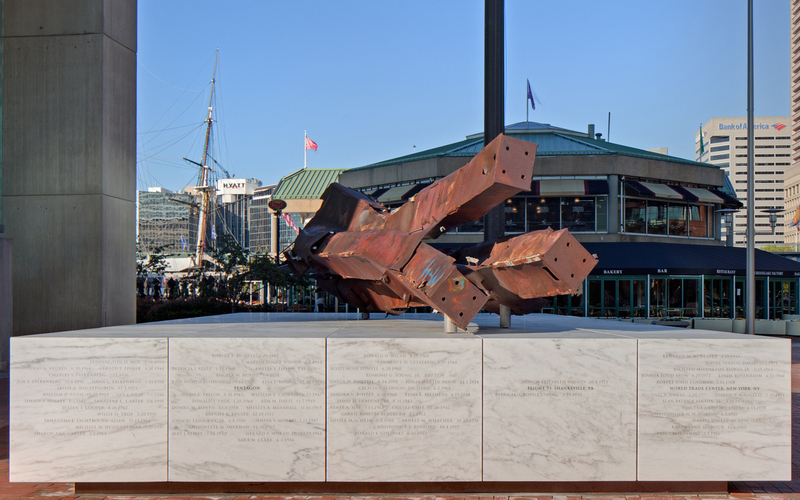 Moreover, rust from the steel artifact will patinate the individual stones, indelibly changing them over time, so the steel and the stone will evolve together as the years pass. 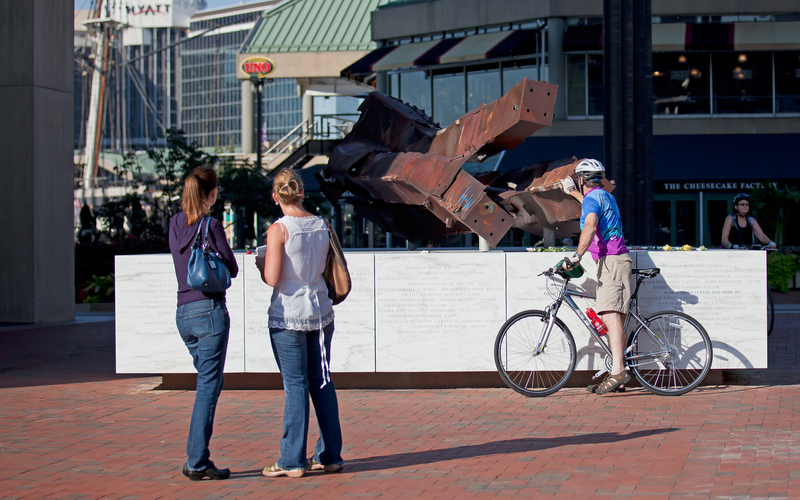 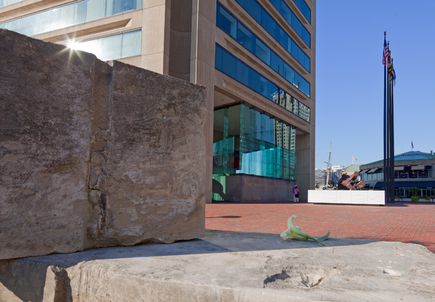 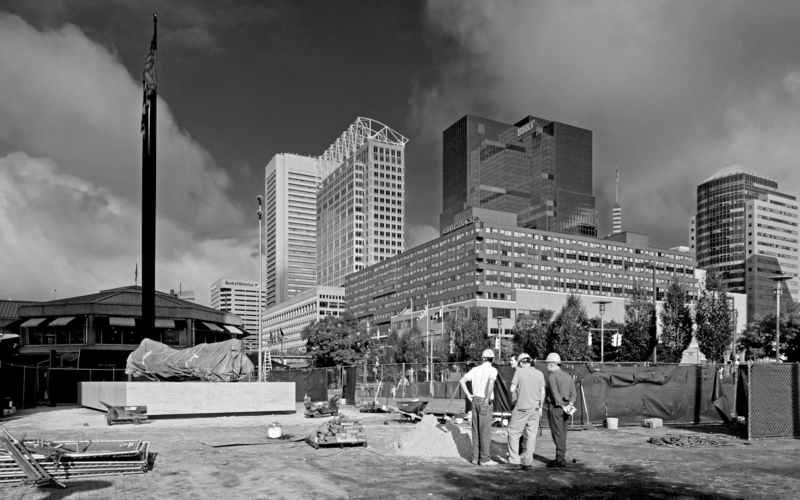 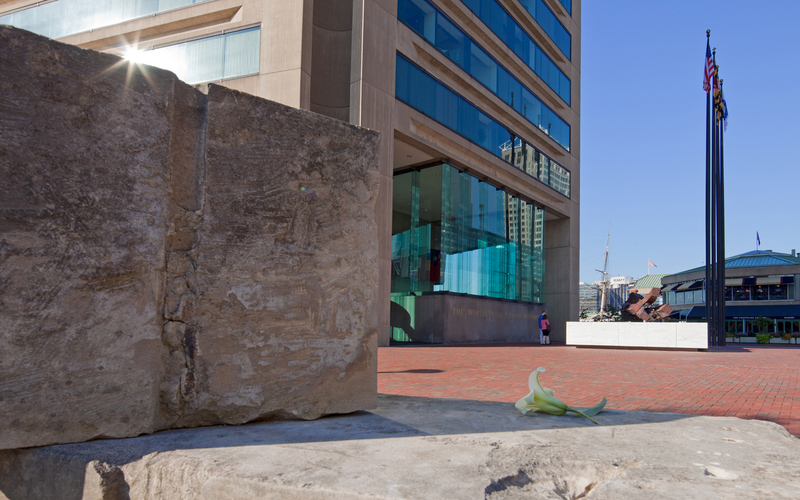 Like the gnomon of a sundial, Baltimore's World Trade Center casts a shadow that slowly moves across the memorial. 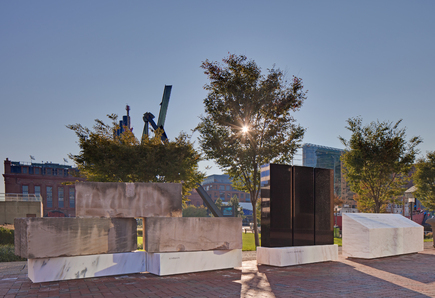 Every September 11, the shadow will cross inscriptions indicating the time of the events that morning in 2001.